Wei Su is a Florida-based attorney with extensive international experience in law, business, accounting, and journalism. Wei is a graduate of the Beijing University of Aeronautics and Astronautics, which she attended on full scholarships and for two successive years was named best student in her year. After a year in the international trade and commodities sector, she turned to journalism. For three years she was a featured columnist for “Beijing Today”, a prominent English-language publication, with her own bylined weekly page, called “Probe”, in which she investigated controversial societal issues pertinent to China’s emerging generation. She published more than 200 articles that drew the greatest reader response in the paper’s history. During this period she also attended the Graduate Business School in Beijing of Australia’s Deakin University, obtained her Graduate Diploma in Accounting and was awarded Australian C.P.A. (Assoc) certification. 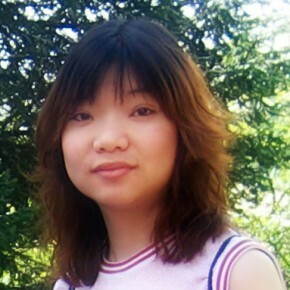 Wei continued her studies in Britain, where she earned a Masters of Journalism at The University of Sheffield. Wei was featured on CNBC’s TV special on Business in China. Interviews with TimeAsia, The China Economic News and other business publications are ongoing. She undertook her PhD in Marketing studies in Florida, USA, focusing on Nation-Branding, or “soft diplomacy”, as an instrument of empowerment for emerging economies to attract human and financial capital and a respected political voice. Wei wrote, directed and produced a documentary film on Chinese-Canadian women exploring their experiences integrating into Canadian society. The film was screened to appreciative audiences in both Canada and China. She returned to China to establish a consulting practice advising foreign firms on business start-up. She also completed the first volume of her memoirs, “Beijing Kid”, published in the U.S., narrating her presence at the events of Tienanmen Square. She was subsequently the subject of a feature article in The Guardian in the UK.